The Pacific War Online Encyclopedia: Reifsnider, Lawrence F.
Reifsnider was a submariner who received the Navy Cross for his service in command of O-5 in European waters during the First World War. He served as aide to Louis Nulton when the latter served as Superintendent of the Naval Academy in the late 1920s. In 1930, Reifsnider's twin sister was murdered by her husband, a Marine colonel, who then committed suicide. 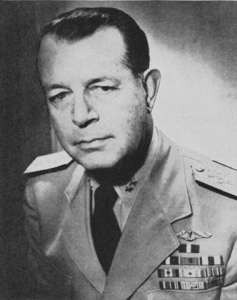 Reifsnider commanded amphibious forces at Guadalcanal, Emirau, the Marianas, and Okinawa.